July 25, 1877 –The Battle of the Viaduct takes place as a mob of over 10,000 people do battle with the police and federal troops at the Halsted Street viaduct over the Chicago River north of Bridgeport with violence following. 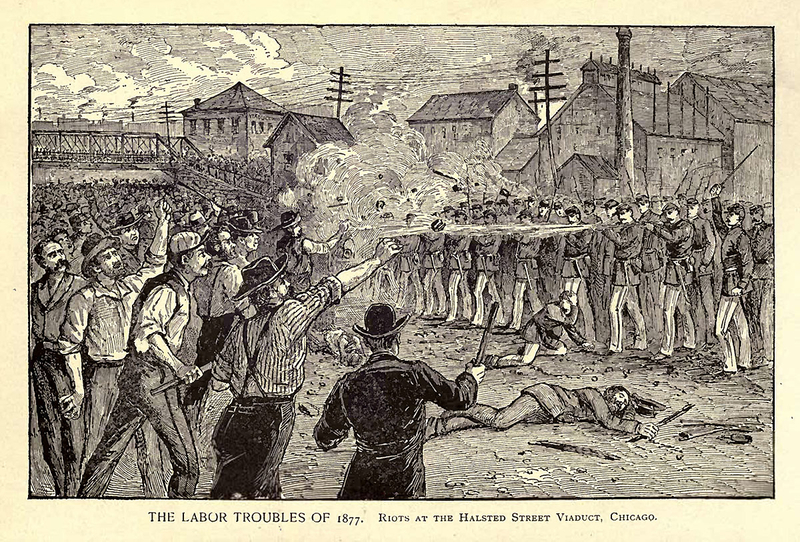 On July 14, a strike begins in Martinsburg, West Virginia when the Baltimore and Ohio Railroad cuts workers’ wages for the third time in a year. The strike quickly spreads, bringing violence to cities as far apart as St. Louis and San Francisco. 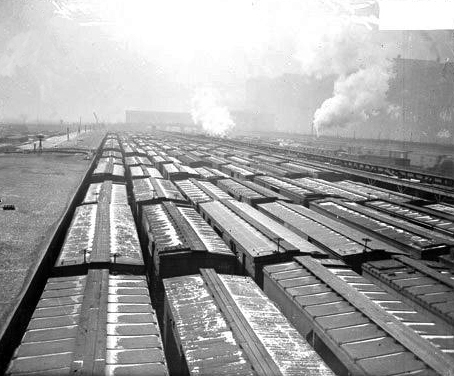 On this day, it is Chicago’s turn as thousands of men, women and children march on a route that takes them through rail yards and the stockyards and north up Halsted Street to the viaduct that crosses the Chicago River. On the north side of the bridge the police meet the angry mob and force them back south, firing at the protestors as they flee. Tempers run high as the rioters, angered at being fired upon while retreating, stop street cars attempting to cross the viaduct. One car is overturned, and cars that follow “were stopped, the conductors rifled of the contents of their pockets, and the passengers compelled to ‘get up and act’ under various threats.” [Chicago Daily Tribune, July 25, 1877]Farther up Halsted the gun store of M. J. Pribyl is cleaned out. Reinforcements swell the ranks of the police who are joined by the Second Regiment of the United States Army, and the confrontation turns even more deadly as the police fire at the mob for a half-hour. 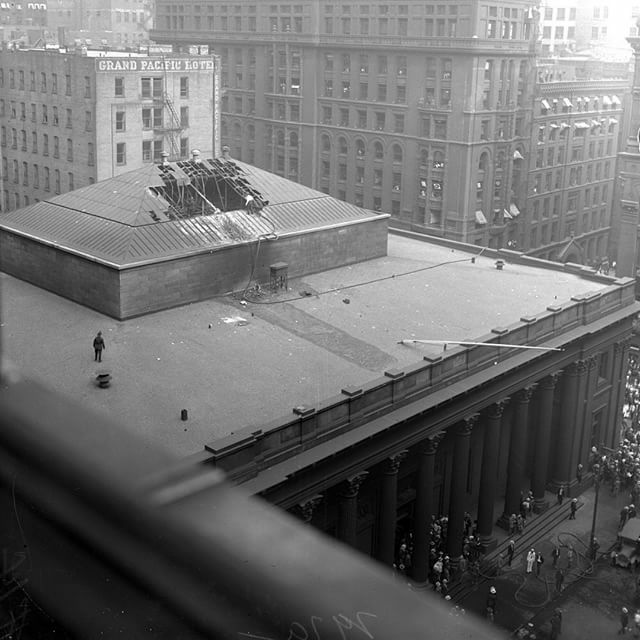 Ultimately at least 18 rioters – some estimates place the deaths at 30 -- are killed, over 100 are wounded, and 13 police officers are injured, one fatally. Relative calm returns on the following day, but the event begins a period in the city’s history that will lead to the confrontation at the Haymarket in 1886 and the violence that will come with the Pullman Strike in 1894. I got her name from the book "City of Scoundrels."